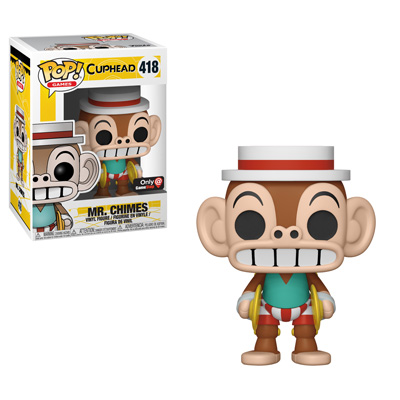 Home News New GameStop Exclusive Cuphead Mr. Chimes Pop! Vinyl Now available for Pre-order! The new Cuphead Mr. Chimes Pop! Vinyl is now available for pre-order. The new Pop will be released on Oct. 27 and can be ordered now through the link below. POP! Games: Cuphead S2 – Mr. Chimes – Only at GameStop! Previous articleNew English Premiere League Pop! Vinyls Coming Soon! Next articleNew Hot Topic Exclusive Diamond Collection Mulan Pop! Vinyl Coming Soon!